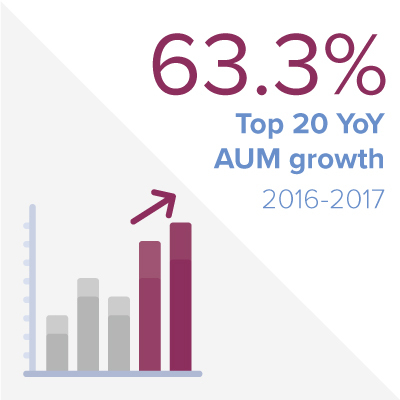 The outlook for Indian wealth management is as bright as it ever has been – assets under management (AUM) with India’s Top 20 wealth managers jumped a superlative 63.3% in 2017, well outpacing Asia’s offshore space over the same period (+29.2%) and China’s domestic private banking market, which grew by just under 22% between 2015 and 2016. 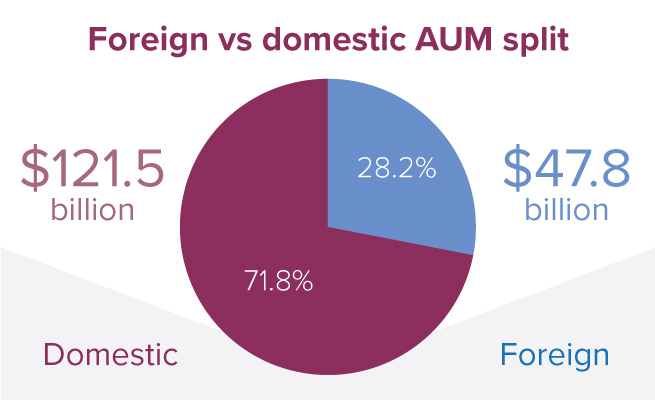 With a swelling high net worth (HNW) population (+20.4% YoY) and HNW wealth pool (+21.6% YoY), India – the fastest growing wealth market globally1 – is now home to seven private wealth managers with AUM in excess of US$10 billion. 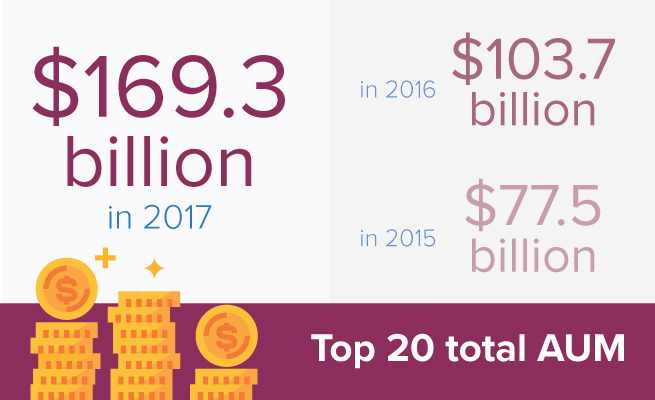 By comparison, the prestigious ‘$10 billion+ Club’ had just two members at the end of 2016. 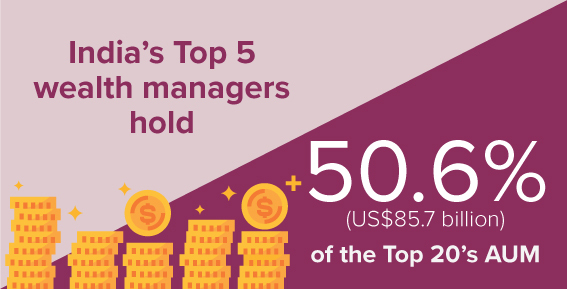 As the top of the table balloons, the top five largest wealth managers in India now collectively hold just over half of the Top 20’s AUM with US$85.7 billion. And with four of the five being domestic players, home-bred wealth managers are cementing their market dominance. 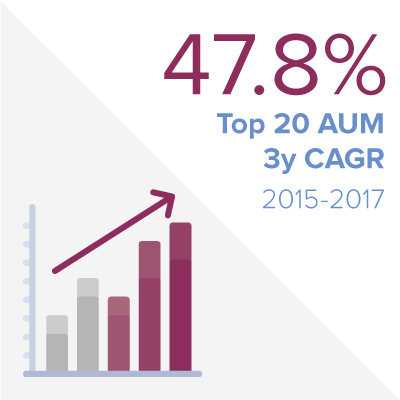 Overall, domestic wealth managers accounted for 71.8% of Top 20 AUM, compared with 63.6% in 2016. Kotak Wealth Management retained its top ranking and, indeed, extended its lead by nearly doubling client assets to US$29.6 billion. And clearly this was not off a small base, nor did it make substantial changes to its frontline, which remained at 110 relationship managers (RMs). There is now a US$11.9 billion difference – equivalent to a single large Indian private bank – between Kotak and the second largest wealth manager, IIFL Wealth. However, those following IIFL should expect its growth velocity to increase after the firm raised US$110 million to “expand both organically as well as inorganically across geographies”, signalling further development of both its onshore and non-resident Indian (NRI) businesses. Parent company IIFL Holdings also plans to demerge its wealth, finance, and securities businesses into three separate listed companies next year. Of those that did grow inorganically last year, Anand Rathi Private Wealth Management saw its AUM soar to US$3.1 billion (+93.8%) after its acquisition of Religare’s wealth management arm in February 2017. The firm also revealed its intention to raise US$74.8 million through an IPO in April 2018. Meanwhile, Edelweiss Wealth Management, which announced it would acquire Religare’s securities business last December, hoped to triple its client base and “achieve scale” as well. The deal fell through in March, with Edelweiss reporting that Religare was unable to acquire the “requisite clearances within the agreed timeline”. Nonetheless, Edelweiss posted a formidable 79.7% AUM growth in 2017, sufficient to rank it third domestically, with US$13.3 billion. Perhaps most remarkable of all is the quadruple digit growth rate achieved by Ambit Private Wealth, which rocketed from 20th place in 2016 to 12th place in 2017 with a YoY growth rate of some 1275%. Its three-year compound annual growth rate (CAGR) is also the highest among all firms at 328.2%. 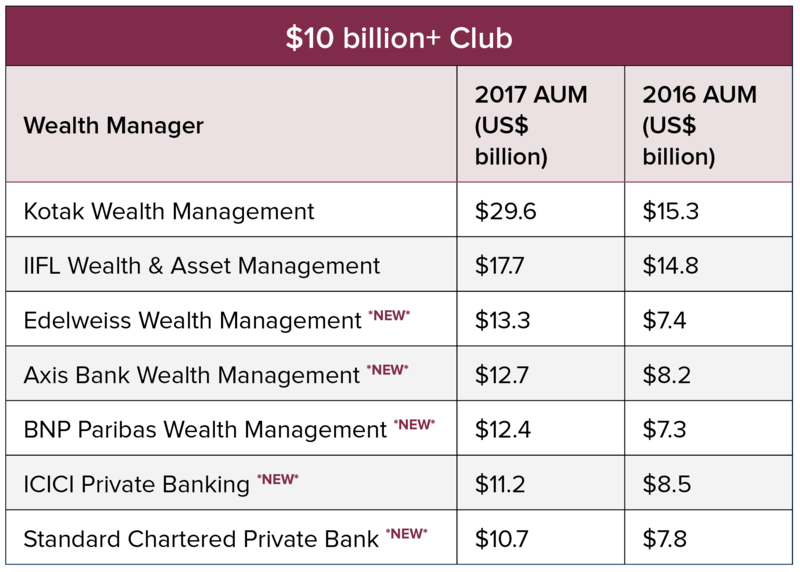 Ambit now holds US$5.5 billion (reported as assets under administration) of HNW wealth, and is well on its way to joining the ‘$10 billion+ Club’ should it maintain even a semblance of its current pace of growth. Foreign firms, somewhat damaged by recent flip-flops on their commitment to the market, have traditionally struggled with India’s complex regulatory and licensing requirements, geographical spread and fierce competition for talent, to the benefit of local players. But even as the likes of HSBC, UBS, Morgan Stanley and EFG headed for the exit, those that stayed the course, for the most part, achieved strong double-digit growth, benefiting in large part from buoyant markets and, of course, the government’s demonetisation drive which saw money flow into financial assets. BNP Paribas Wealth Management dethroned Standard Chartered Private Bank as India’s largest foreign private bank, with client assets surging by 69.9% last year to reach US$12.4 billion. The French lender launched its non-banking financial company (NBFC) last year and has demarcated India and NRI as a major business ‘cluster’ as part of a reorganisation of its broader APAC activities. Still, while Standard Chartered slipped three spots in 2017 to seventh place, it grew its assets by a healthy 37.2% to US$10.7 billion. The British bank’s group CEO, Bill Winters, previously admitted that StanChart’s brand has “been tarnished in some markets”, pointing to Singapore and India as two countries where it has lost ground. However, with the bank focusing on strengthening controls, cleaning up the brand and investing in new technology, it remains a permanent fixture in India’s domestic scene and, halfway through 2017, its $0.6 billion worth of net new money came mostly from India and Hong Kong. On the other end of the spectrum, Credit Suisse, one of the largest private banks in Asia and globally, slipped out of the rankings, even as assets climbed by an estimated 35% YoY to US$2.7 billion. Though it has a full-fledged investment bank in India, Francesco de Ferrari, head of private banking APAC and CEO Southeast Asia and frontier markets, said in March that the private bank still needs to decide how to “scale up significantly”, while also describing India as a market with “much potential”. And while a question mark hangs over Deutsche Bank’s presence in India, the private bank did post a 34.8% YoY increase in AUM, bringing its total to $3.1 billion.